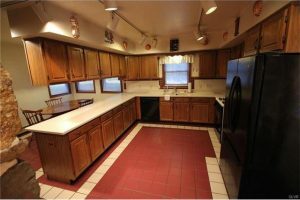 We recently bought a 100+ year old home that we found by reviewing the older homes that are listed every day on LehighValleyJustListed.com. This website lists all the new listings with their photos and pertinent info, filtered to the parameters you set. I’m sure there are many other sites just like it. 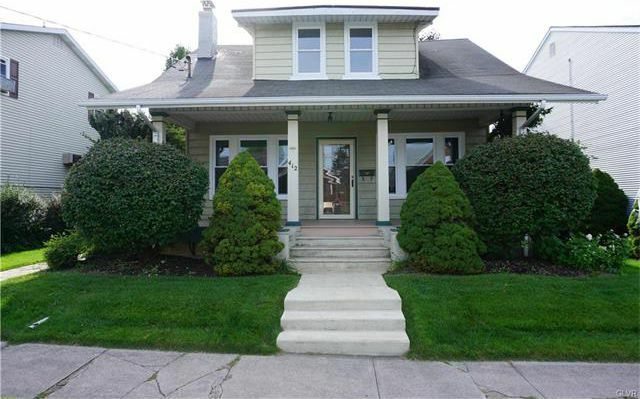 So old and newer homes are listed and as I continue to monitor the site, (I guess I still want to see if there is an old house I would like better than ours, but so far there hasn’t been one!) 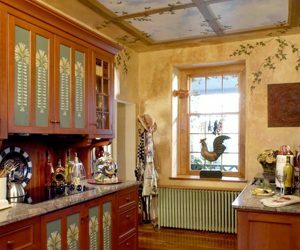 I’m finding old, even historic homes that have kitchens that would benefit from using our Kitchen Workstation Furniture (KWF) instead of the modern cabinetry that they have. 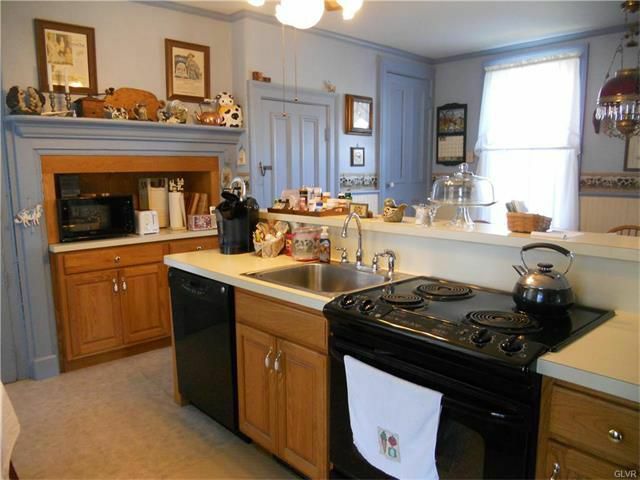 And time after time, I see examples of beautiful vintage homes with kitchens that are truly unworthy of them. They truly break my heart. This article will show you three examples of what I’m talking about and maybe you too can see the difference. The point here is that KWF can be a wonderful and even the most appropriate solution for older homes, the ones that have so many windows and doors, fireplaces and heating registers to deal with. 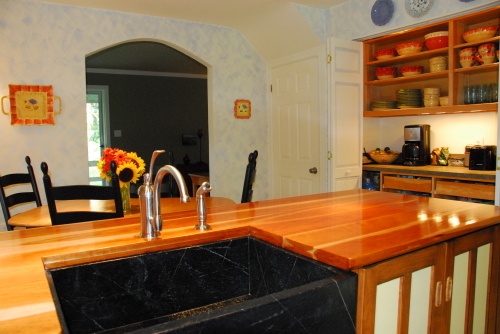 Separating the working areas into Workstations can most often solve these issues when continuous cabinetry simply can’t do the job while maintaining the period character of the architecture. Now take a look at a Cape Cod home’s renovated kitchen shown above that used three workstations and a new built-in working pantry to create an updated kitchen that looks more in keeping with an older style. This type of modest layout would work so well in the Craftsman bungalow shown above. 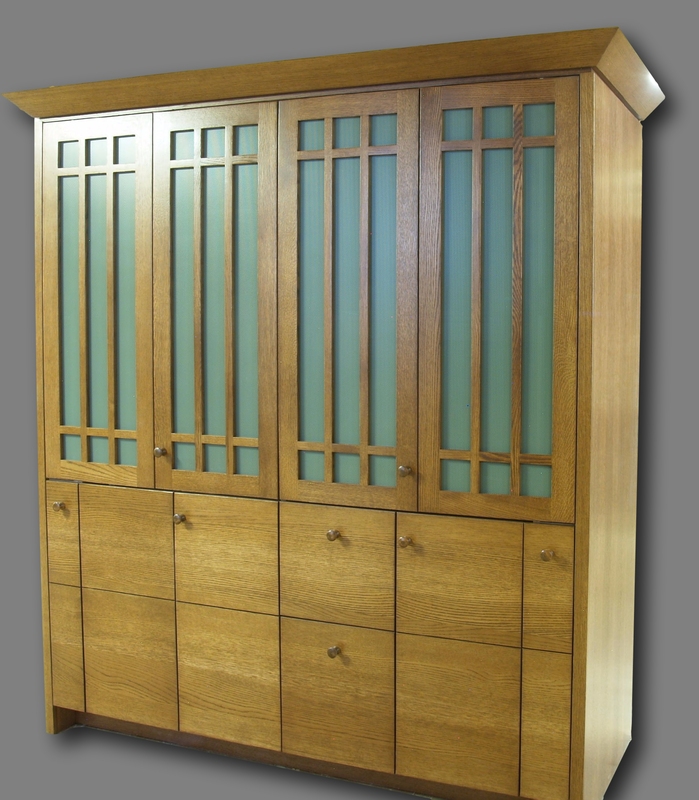 The workstations can even take on craftsman styling as shown in this range/ armoire. The second example shown above shows a beautiful farmhouse that features original painted woodwork throughout, wood floors, original windows etc. 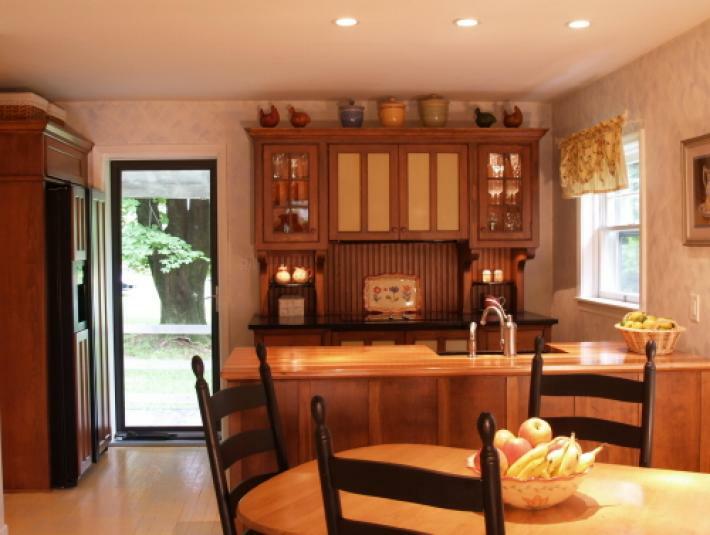 But the kitchen still is created with typical built-in cabinetry and exposed appliances. The fireplace is even ruined with the built-ins. Now take a look at a couple of examples that integrated KWF into the design, thereby preserving the many openings and features in each room. 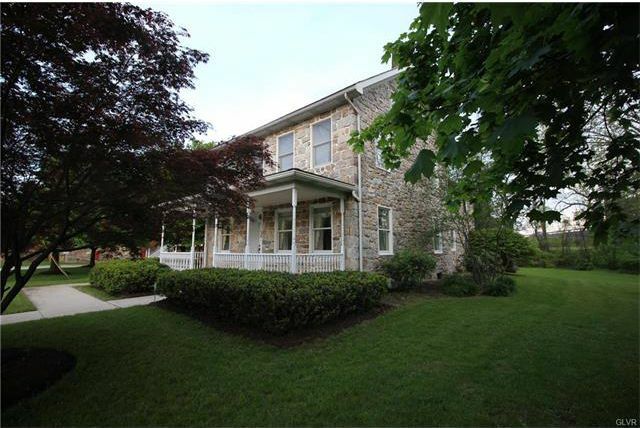 Above, the fireplace was the main feature, but the perimeter of this 18th Century Pennsylvania stone farmhouse (Notice the thick walls) was filled with many window and door openings. 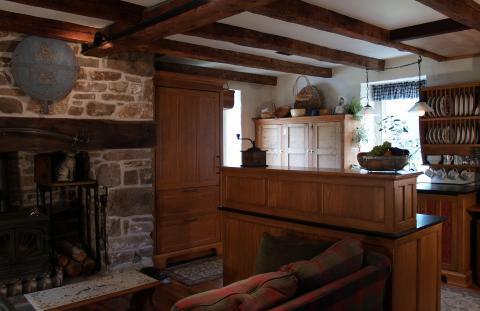 KWF floated between the openings preserved the character of this beautiful room. 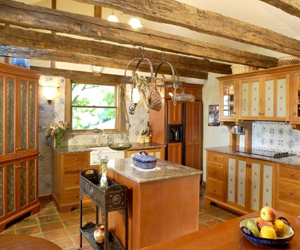 In the example above, Trompe l’oeil painting on the walls and ceiling, coupled with just a few super efficient pieces of KWF converted this 18th C. PA stone farmhouse kitchen (with its 4 windows, 3 doors and fireplace) into a wonderful live-in kitchen, complete with a freestanding desk (in the fireplace) and breakfast table. The third example shown above features a beautiful country stone home with its modern all wood cabinet kitchen. 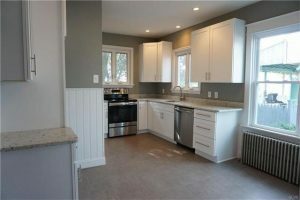 This layout is so typical, very efficient and yet, is there a better way? 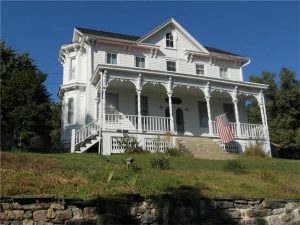 We think so, especially if maintaining the character of the period of the home is a priority. 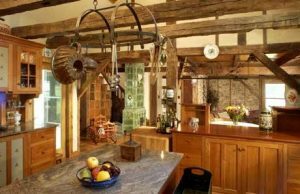 And this kitchen shown above in a New Jersey 18th C. farmhouse shows how the character of the walls, floors and ceiling of the historic home can be maintained even with a large collection of workstations in a small space. Here 3 ovens (there is one in the island), the dishwasher, most of the refrigerator and all of the small appliances are concealed from view to help maintain the period style of this room that is seen from the foyer and living room. So, perhaps you can see my frustration. In fact, I hear so often “Gee, I wish I had found YesterTec before I renovated my kitchen”. 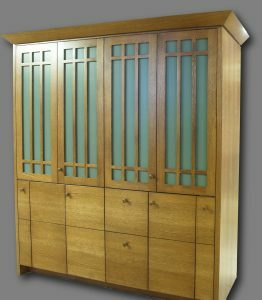 Now perhaps you’ll disagree with me and that’s OK, but I’ve been at this for 22 years now, and as an Architect who has designed countless homes and kitchens, I still believe that KWF, with its unique ability to conceal the Hi-Tec ‘hot’ appliances and its wonderful flexibility to furnish a room with super efficient pieces of fine furniture is still an enduring concept. 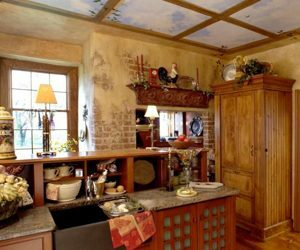 And I hope you will at least see it for what it can potentially do for those kitchens that are most in need of a solution that enhances their unique period style.